I’ve played the game everyday except maybe 3 since I got it in November, that’s pretty sad LOL. First off the game runs in real time. There are daylight and evening hours. Sometimes it rains, sometimes it doesn’t. Somedays you have special visitors to your town that you interact with, and somedays it is just you and your villagers. 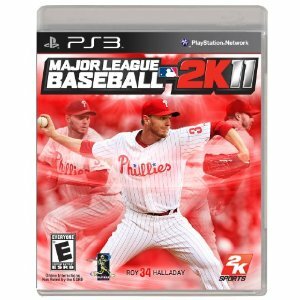 Most major holidays are represented in the game and there are fun things to do those days. Like there was an egg hunt this past weekend for Easter. Usually you get a special furniture set on the special holidays. The controls for the game are really simple. You use your wiimote and nunchuck ( you can use just the wiimote but it isn’t ideal). You can walk around town, or run by holding Z down (or B on wiimote). Running in your town will wear in paths in the grass faster (more on this later), scare off bugs and fish, and kill flowers you might run over. I generally just walk around town and enjoy the little stroll around my town LOL. You have equipment in the game to catch critters and such. You use your equipment by pressing the action button, C button on the nunchuck or A on the wiimote. You can also shake trees by pressing the action button which will cause things to fall from trees, and you pick stuff up off the ground by pressing the run button. You store up to 15 things in your pockets that you access from an onscreen menu and you select things by pointing your wiimote at the screen. That’s basically the control scheme, pretty easy huh? You do lots of different things in the game, you play it however you want. But basically you are this little dude that moves to a town with no money. You are given a little shack with a mortgage that you pay off by selling stuff you catch around town like fish, bugs, and fruit from your trees. You keep getting bigger houses and bigger mortgages to pay off as you make more money and pay off you house. I think there are like 5 house upgrades. So that’s one aspect of the game. Another part of the game is collecting stuff for the museum. Each month (or pretty much each month) brings new fish and bugs to collect. You buy a rod and net from the store and catch the critters with them. As you collect the fish and bugs you donate them to the town museum (or sell them for money). There are also 3 fossils buried in your town everyday, so you can buy a shovel and find them and donate them to the museum daily (or sell them too). Another aspect of the game is making the town look nice. You can buy flowers from the shop every day and plant them around your town. By planting certain flowers next to each other, you can grow hybrid flowers which cannot be bought. I use flowers to create paths around my town to walk on. You gotta buy a watering can and keep the flowers watered, otherwise they wilt. Also there is a town fund that you can donate to which will upgrade your town with a new bridge, a fountain, and a lighthouse or windmill. Usually a weed or two pops up each day in your town, you need to pull those to keep the town looking nice! There is also something called the “perfect town” rating which you obtain by planting enough trees and flowers around the town. You get a special prize for that. As I mentioned earlier, you have a house you live in. You can buy all kinds of different furniture at the shop to decorate your house with. Your house is graded each week by this company called the HRA. By getting complete furniture sets and stuff in your house, you get a higher score and are given prizes for hitting certain levels. Another fun part of the game is decorating yourself. There is a small clothes store in your village where you can buy different clothes and hats each day. You can also design your own clothes and where them, this is what I do a lot. There are a few other things to do around the town as well. 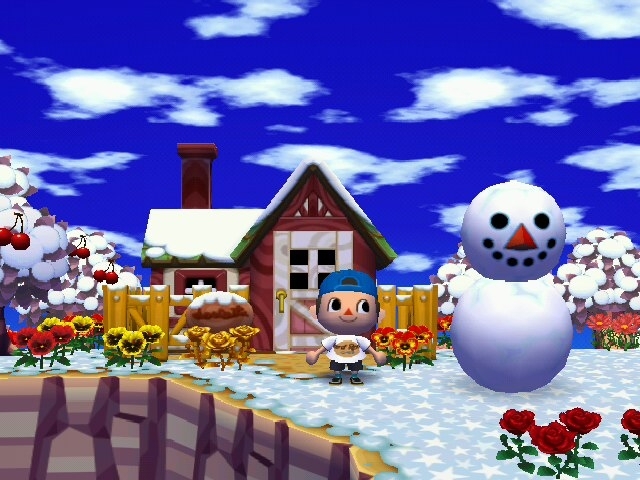 Each day there is a money rock that you can strike with your shovel to get some money bags out of. You can have up to I think 10 villagers in your town that you talk to. They say funny stuff, ask you to get stuff for them, and ask you to run errands for them. You can mail them stuff and they’ll write thank you notes and send you something back. Villagers will move into your town and move out eventually unless you beg them to stay. There’s an observatory that you can look at the stars from. Here you can create your own constellations that you’ll be able to see in the sky when walking around your town at night. There is a coffee shop in the museum where you can buy coffee everyday and on Saturday nights the singing dog, KK, comes for his weekly concert. Buy a slingshot from the store and you can shoot down random prize balloons floating over the town. Usually once a month there is a fishing tournament (or bug catching one too) and a flea market. Each week you can buy turnips on Sunday for a certain price and hopefully sale them at the shop for a higher price before they rot the next Sunday, this is the stalk market. There’s other little things to do each day to spend your time. Then there is also the city you can take the bus to anytime you want. In the city there is a fashion shop, a fortune teller, an auction house, a movie theater, a hair dresser, a shoe shiner, and a shady black market store where you can buy rare items and paintings to donate to the museum (you just gotta be careful, he’ll sale you fake paintings or sale a common item at a high price to you too). Sometimes you’ll find a traveling balloon guy in the city that’ll give you free stuff! You are “suppose” to play the game in real time, but you always have the option of changing the time to “time travel” to different days. Your town suffers a bit from time traveling due to weeds, villagers moving away, dieing flowers, etc, but overall nothing messes up by time traveling. 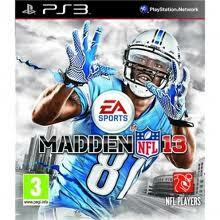 Then there is the online part of the game. Anybody that has their Wii connected to WiFi can come visit your town if you share friend codes with them, and you can visit them. By visiting other people or having visitors to your town, you can trade items, get new fruit for your town (you only have 1 native fruit growing in your town, but you can get different types from other towns and start growing them in your town), check out their stores (not the city though), and just chat and have a fun time. 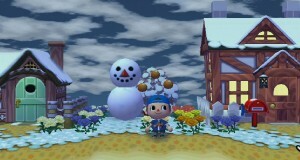 There is really only one negative in the game to me and that is the grass wear in your town. As you run around your town you wear in paths which is pretty cool. The problem is, the paths don’t really grow grass back that fast so if you run in your town a lot (you can walk normal or run in your town) you wear the grass out and your town begins to look like a desert. This is a pretty bad thing because your town begins to look pretty sad. 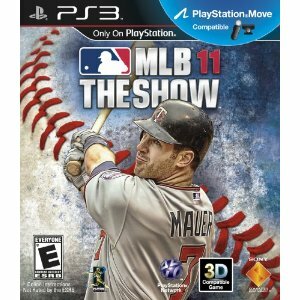 When the game first came out we were in the winter months and your grass/snow wore away really fast. Now that we are in the spring months, the grass doesn’t wear away as fast, but I still can’t tell that it grows back faster. 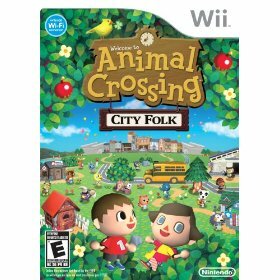 Because I like this game so much and it is important for me to keep my town looking nice, I hacked my Wii as previously mentioned in this thread, and actually by doing this my enjoyment of the game increased a ton more because of all the fun stuff you can do. This allows me to take my Animal Crossing save off my Wii and put it on my computer where there is a program you can download that will do all kinds of things to your game. One of these things is to restore the grass in your town. 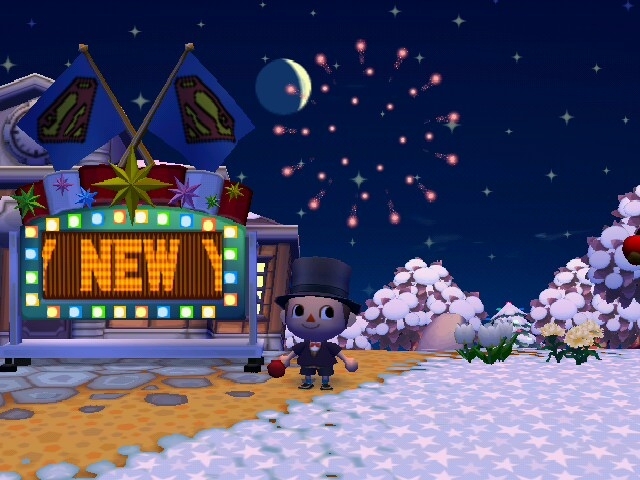 So whenever my town starts looking too bad, I’ll pull the save off and restore my grass. There are other cool things you can do with the program, like redesign you town and choose which villagers you want in your town. You can also give yourself any item you want and as much money as well, but I never did that because to me the fun of the game is playing every day and finding new items and participating in the new events. I did redesign my town’s layout to create a new waterfall and place my villagers’ houses in certain spots around town. By doing this I created little neighborhoods in my town instead of the random house locations the game puts your villagers in. I also select 5 or 6 of my favorite villagers to live in my town. For me, this is just a fun game for me to sit down and play everyday for a few minutes. I have it in the office where my wife spends a lot of time so I can hang out there with her and do something. Pretty cool Kevin. I find it hilarious that you hacked the game to have green grass. I’m a grass nut myself. I like it green, fresh cut and looking good! Great post full of useful tips! My site is fairly new and I am having a difficult time getting my readers to leave comments. They are coming to the website but I have the impression that “nobody wants to be first”. Good stuff. Nice to read some well written posts. A long way between them. so don’t just get lights that you can turn on; get lights that turn you on. Implementation of solar energy has environmental costs that may hamper its application on large-scale operations to reduce its impact. However, my husband had a little trouble tightening the screw on the solar panel, so it tended to slip to less than an optimal angle. Magnificent submit, very informative. I ponder why the opposite specialists of this sector don’t notice this. You should proceed your writing. I am confident, you have a huge readers’ base already!|What’s Taking place i am new to this, I stumbled upon this I have found It positively useful and it has helped me out loads. I’m hoping to contribute & help different users like its aided me. Great job.